Spending a long weekend in New York is always an exercise in sensory overload, especially for an architect. Everywhere layers of history play as a foil to an ever changing, ever renewing built environment. New York, perhaps more emphatically than any other city, has been shaped by and communicates our collective values and politics through its built form. So what better city to host more than 26,000 architects for AIA’s 2018 Conference on Architecture? Z|S was in attendance this year to celebrate our founding partner, Steve Ziger, who together with 151 of our peers, was elected to the AIA College of Fellows, Class of 2018. 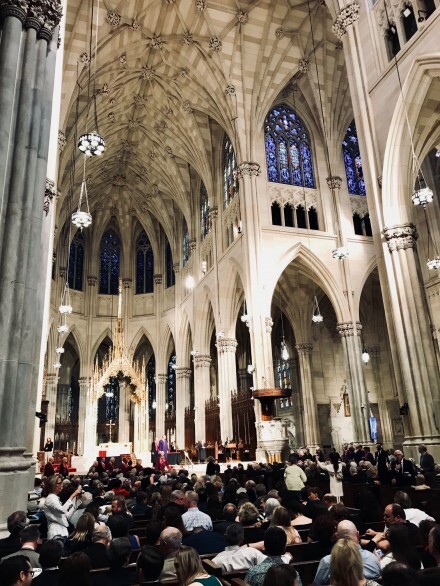 The investiture ceremony at the newly renovated Saint Patrick’s Cathedral on Friday, June 22nd was a spectacle. The cathedral was filled to capacity with architects dressed up in black gowns befitting the space, if not the profession or our era. 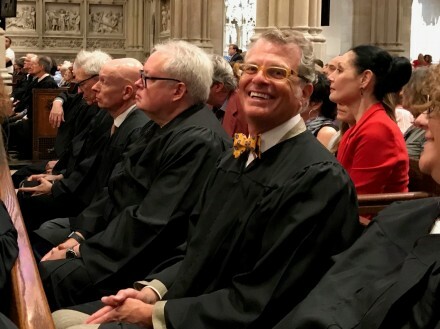 If architecture is frozen music, as Goethe once said, then here was the choir at the front of the church being elevated into the Fellowship for their many contributions to the profession and their great works of architecture. Beyond the ceremony, and with New York City as its backdrop, A’18 turned the spotlight on the profession of architecture and the need for architects to take responsibility for shaping the future of the built environment. To this end, hundreds of events were planned all over the city each with a goal to inform, educate, inspire, and connect architects, design professionals, vendors, and the general public. The central theme for the conference was Blueprint for Better – a renewed calling on architects to do what they do best – to work with clients, communities, and civil leaders to help shape our cities for the better. The conference was also a forum to continue our professions conversation with the important issues of diversity, inclusion, equity, sustainability, resiliency, and designing for health. The renovated Javits Center was AIA adorned and branded with Pentagram’s graphic designs and filled to the gills with architects, educators and vendors. There was a lot to see, but the high points of the conference were out in the city at the great networking events, tours, and the Keynotes held at Radio City Music Hall. Kudos should go out to AIA New York, the oldest chapter in the country, for doing a great job hosting A’18. It’s a high bar for Las Vegas to match in 2019 – perhaps we’ll see you there. June 28th, 2018 at 5:34 PM. Posted in . Share this post.